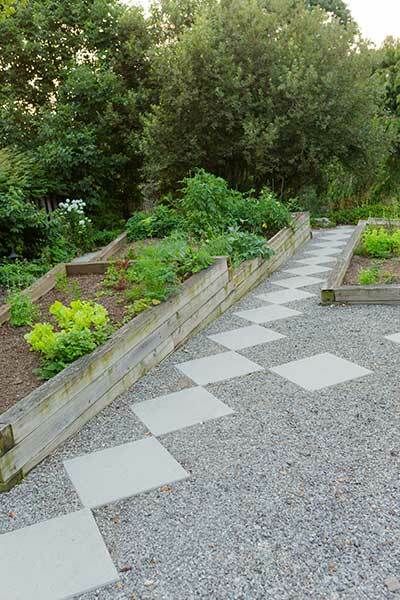 We loved this project’s clean, yet colorful and exotic aesthetic. 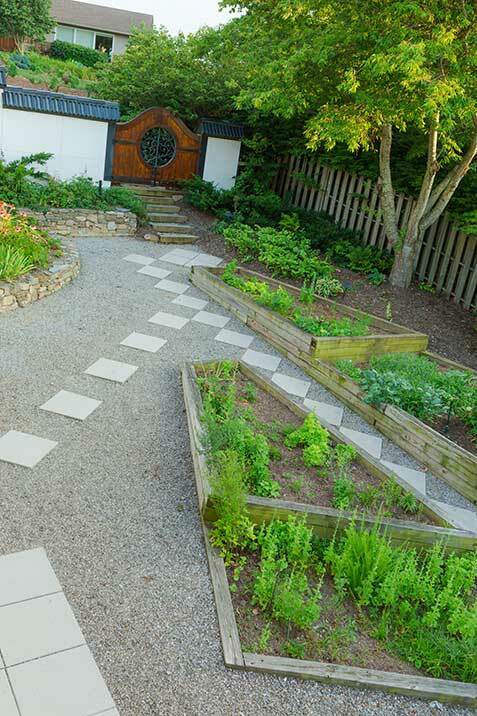 The client had a deep appreciation for Japanese culture, and their home featured an exquisite Japanese style. 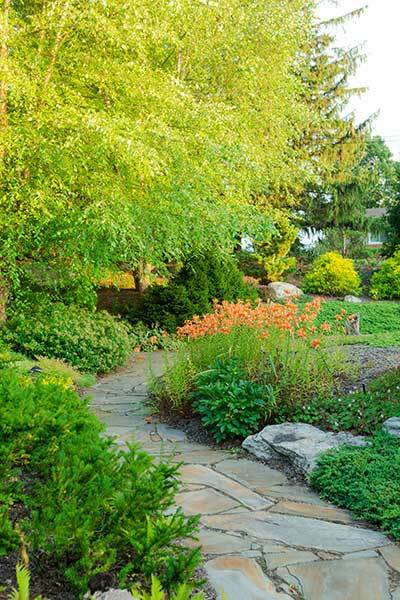 We reflected this style in the landscape, using soft-sculpted berms, boulders, groundcovers, ornamental pines, and Japanese maples to create a Japanese garden. 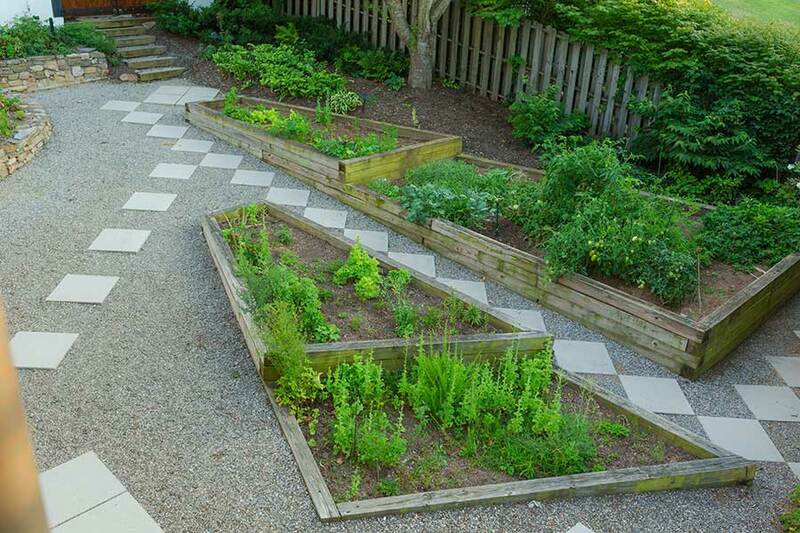 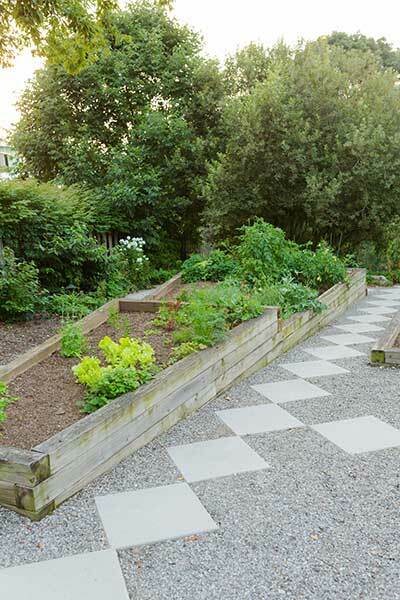 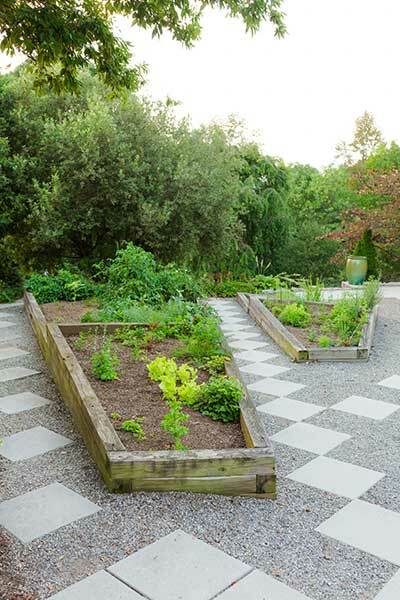 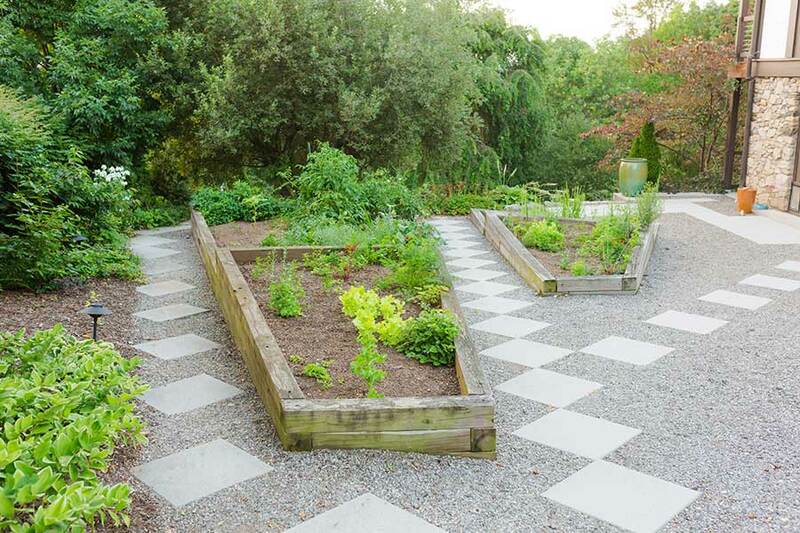 In the vegetable garden area, we used concrete pavers for the pathways and raised beds for the veggies and herbs, which gave it a cleaner and more modern feel that blends seamlessly in with the home and the rest of the landscape.